Triple digit heat is plaguing the heartland of the nation this summer. Residents as far north as South Dakota are struggling to stay cool in an area where air conditioning rarely exists because it is rarely needed. Heat related deaths are a concern. Those in southern states like Texas are familiar with such heat waves and its affects and there are still heat related deaths every summer. Most of those deaths occur among the poor, the elderly and the very young. Among the poor and the elderly, their homes may not have air conditioning, or if they do, the air conditioning is broken and they cannot afford to get it fixed. In triple digit heat, air conditioning saves lives. One Canadian joked that the coldest places in the world are Saskatchewan and inside a Dallas building in the summer. While the joke is slightly exaggerated, there is some truth to the drastic temperature difference between inside and outside during a Texas summer. With heat indices above 110 degrees Fahrenheit and indoor thermostats set around 72 in public buildings, individuals expect their bodies to adjust to the almost 40 degree difference each time they transition from inside to outside and vice versa. This can cause sinus problems or fatigue even among the healthiest of people. So how can air conditioning service in Austin, TX contribute to your wellness? In addition to preventing heat related deaths, it can also help to filter out pollens, dust and dander within the home. Central air conditioners have an intake vent inside the home. That is where air is pulled into the unit to be cooled. 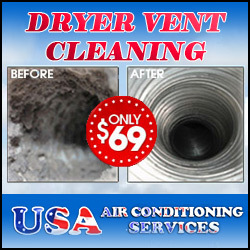 If the filter in that vent becomes dirty or clogged, the air conditioner does not function as efficiently as it should. Changing that filter every three to six months keeps the air conditioner running well. Using HEPA filters or other hypo-allergenic filters helps to clean the air as the air conditioning runs. This is most beneficial for those with allergies, asthma or other respiratory illnesses. When buying a home or after a few years in a new home, get the air ducts cleaned. This eliminates dust, fur and dander that has accumulated over time in the duct work and keeps the air in your home cleaner. 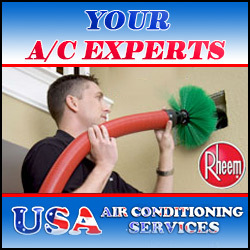 Additionally, be sure to keep the coils on the air conditioning unit clean. Most hardware stores supply an aerosol spray to help you clean them. These basic maintenance tips are good for your air conditioner and for your health. An air conditioner cannot protect you from triple digit heat if it doesn’t work. Maintenance keeps it running longer and more efficiently. Adjusting the thermostat to 80 degrees while you are out of the house reduces the amount of work the unit has to do as well. And truth be told, when it’s over 100 degrees outside, walking into 80 degrees feels great. Tiffany Marshall spent two summers in Colorado without real air conditioning before moving back to her home state of Texas. She prefers triple digits with AC to double digits without. Tiffany is a freelancer writing on behalf of BlueAir Heating and Air Conditioning, your source for any Austin heating and air conditioning need.